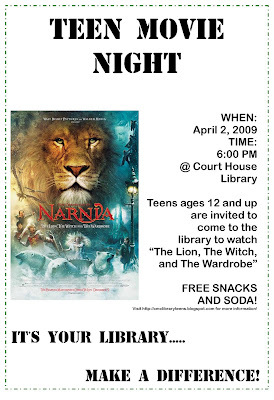 We'll be watching "The Lion, The Witch, and The Wardrobe"
Teen Theatre Program at the Lower Twp. Library TOMORROW! INTERESTED IN ACTING? WRITING? PERFORMING? 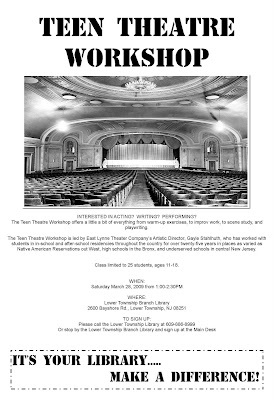 The Teen Theatre Workshop offers a little a bit of everything from warm-up exercises, to improv work, to scene study, and playwriting. Native American Reservations out West, high schools in the Bronx, and underserved schools in central New Jersey. Class limited to 25 students, ages 11-18. 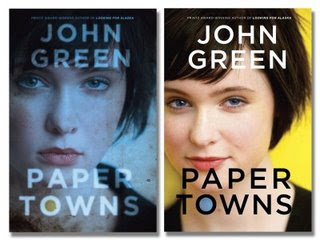 We'll be meeting to discuss Paper Towns and we'll be recording a podcast as well. Some of the links may not work this week. We just switched to a new computer system and things have been confusing! I'll fix everything asap! Thanks and sorry for the inconvenience. Game Night @ the Library NOW FEATURING Street Fighter IV! 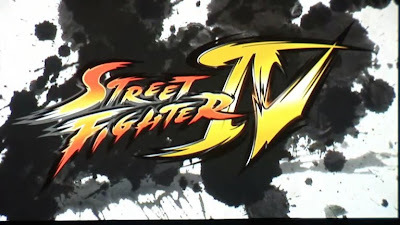 We're happy to announce that we now have the game Street Fighter IV to play at our game nights at the Cape May County Library. Over 74 countries and territories have pledged their support to VOTE EARTH during Earth Hour 2009, and this number is growing everyday.We all have a vote, and every single vote counts. Together we can take control of the future of our planet, for future generations. 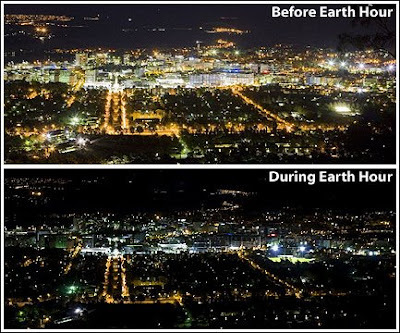 VOTE EARTH by simply switching off your lights for one hour, and join the world for Earth Hour.Saturday, March 28, 8:30-9:30pm. SIGN UP HERE TO PARTICIPATE IN EARTH HOUR 2009! Tomorrow is Earth Day! Celebrate! Learn more about Earth Day and how you can participate HERE! What can you do to help Earth? 2. Ride a bike or walk instead of driving. 3. Instead of using a dryer, try to hang your clothes to dry. The Teen Theatre Workshop is led by East Lynne Theater Company’s Artistic Director, Gayle Stahlhuth, who has worked with students in in-school and after-school residencies throughout the country for over twenty-five years in places as varied as Native American Reservations out West, high schools in the Bronx, and underserved schools in central New Jersey. 7th and 8th Grade Book Club at the Library! 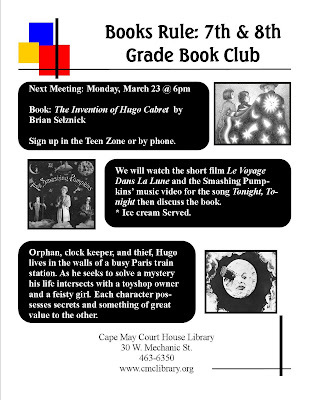 We will watch the short film Le Voyage Dans La Lune and the Smashing Pumpkins music video for the song Tonight, Tonight, then discuss the book. Ice cream will be served! 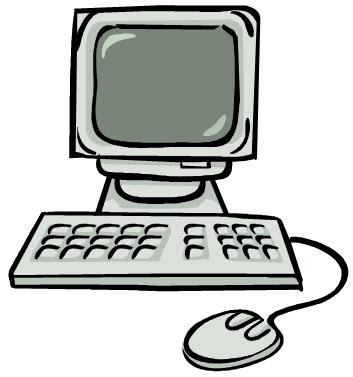 All of the Cape May County Libraries are closed today, as we are training to use our new computer system! We'll be back tomorrow. See you then! Wear Green to the library today! Let's face it. We're all super busy these days...whether it be school, work, or just personal stuff we've all got a full plate. Why not organize your life? Simplify. Organize. (And relax.) Organizing your schedule shouldn't be a burden. That's why we've created Google Calendar – our free online shareable calendar service. With Google Calendar, it's easy to keep track of all your life's important events – birthdays, reunions, little league games, doctor's appointments – all in one place. Using Google Calendar, you can add events and invitations effortlessly, share with friends and family (or keep things to yourself), and search across the web for events you might enjoy. It's organizing made easy. I can't say enough good stuff about Google Calendar. 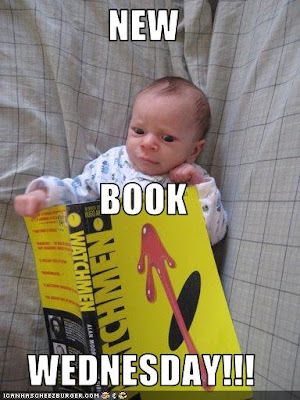 We even use it here at the library. This playlist of videos will help you get started with Google Calendar. ...and oh yeah! CLICK HERE FOR GOOGLE CALENDAR! 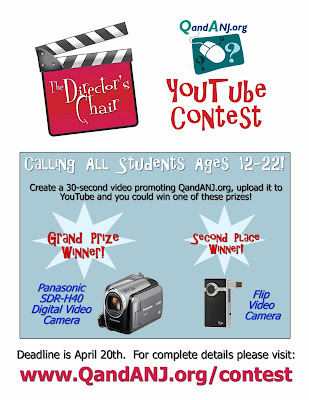 The Director’s Chair is a video contest for New Jersey students who are between the ages of 12 and 22. Create a 30-second video promoting QandANJ.org for a chance to win some great prizes. 1. 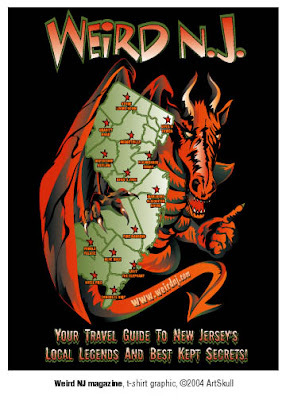 You must be a New Jersey STUDENT 12-22 years old to enter the contest. (The name of your school will be asked for on the release forms). 2. 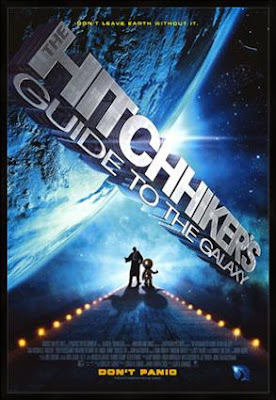 The person who is entering the contest must fill out a Director’s Release form, found here. Anybody who appears in the video (including the Director) must fill out a Talent Release form, found here. If you’re under 18, the forms must be signed by a parent or legal guardian. *If you are snail mailing your forms, please send them out early so that we have them on April 20th. Judging to determine the finalists takes place the following day and we can not judge videos that do not have the appropriate permission forms. Thanks! 3. Videos must be 25 to 30 seconds long. 4. You have from midnight on February 20, 2009, until 11:59 p.m. on April 20, 2009, to submit your video on YouTube. Check some of the new music titles coming to the Cape May County Library. Remember, if some of the albums aren’t quite available yet, you can use your library card to reserve them in advance. 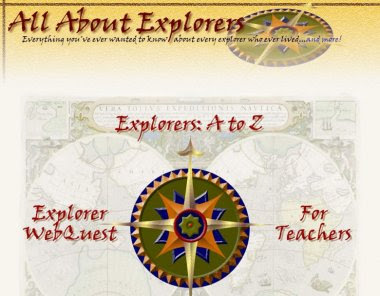 What is All About Explorers? What is the point that it proves? You can't trust everything you find on the internet! Why not try our databases? 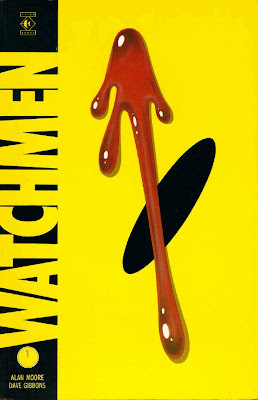 The movie Watchmen comes out in theatres today, but before you go see the movie why not check out the graphic novel it is based upon! Cape May County Library cardholders can download audiobooks at home. 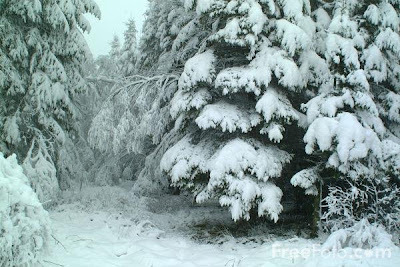 Due to the massive amount of snow that fell on Cape May County over the past 24 hours, the library will be CLOSING AT 7pm tonight, Monday March 2nd. We'll reopen tomorrow at 8:30am.